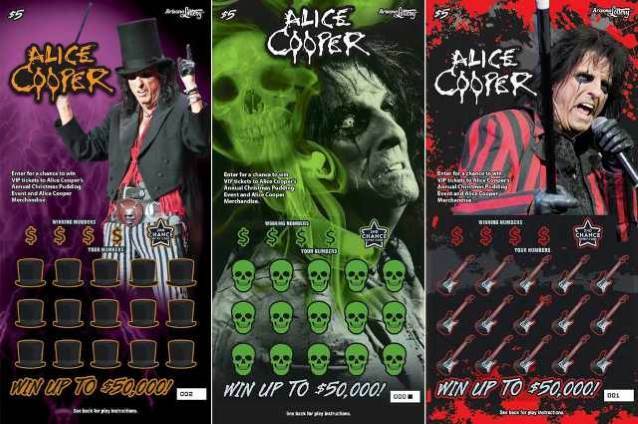 Alice Cooper will be featured on a new lottery scratcher ticket as part of the Arizona Lottery. 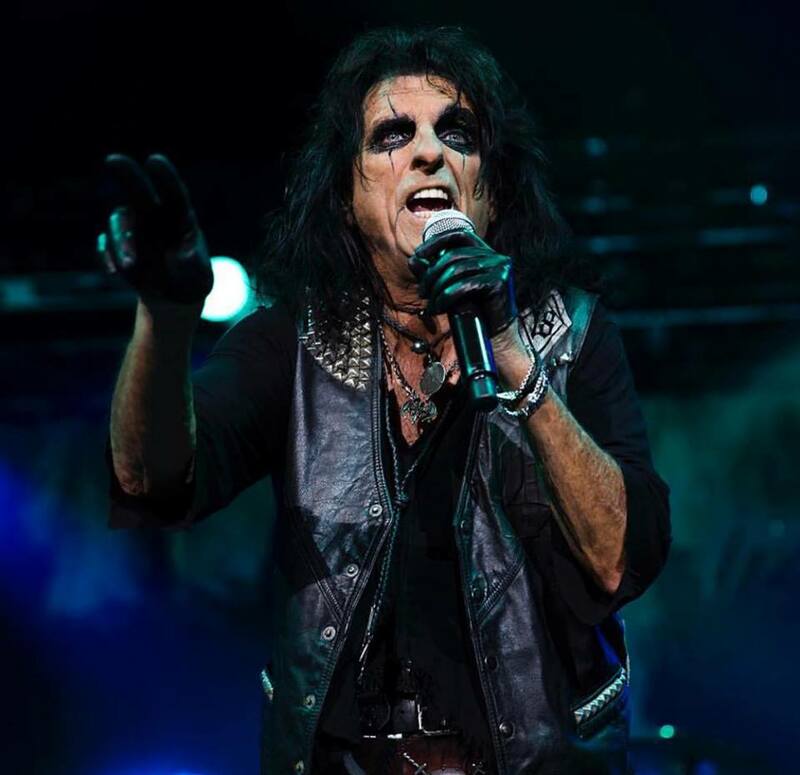 Set to launch August 7 and available through Halloween, the series includes six top prizes of $50,000 each, with second-chance prizes that range from Cooper memorabilia to VIP tickets and pre-show party access to the legendary rocker's annual "Christmas Pudding" concert. "You know you've made it in this world when you're an answer on 'Jeopardy', 'Wheel Of Fortune', a likeness of your head is on a PEZ dispenser, or if your face is plastered all over an Arizona Lottery ticket," says Cooper. "We are excited to join legendary musical artist Alice Cooper with this exclusive ticket," adds Arizona Lottery Executive Director Gregg Edgar. "The Arizona Lottery is dedicated to supporting vital programs that serve people across the state and we are proud of the work Alice is doing with the Solid Rock teen center to provide incredible resources, positivity and excellence for Arizona youth." The rocker hosted a launch event at his Solid Rock Teen Center on July 25, where Edgar officially announced the Cooper-themed ticket series; watch live-streamed video of the pair revealing the project here. Fresh off a European trek with The Hollywood Vampires, Cooper will resume his “A Paranormal Evening” North American tour next week.